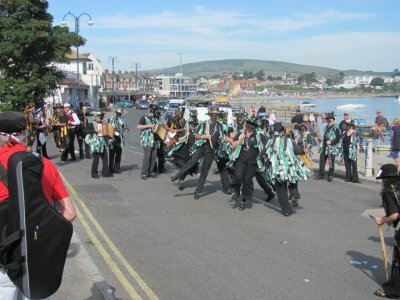 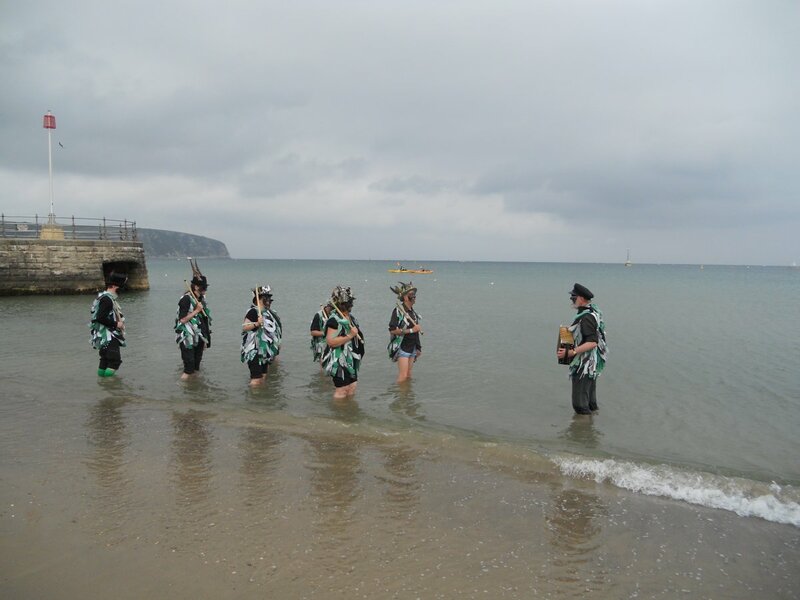 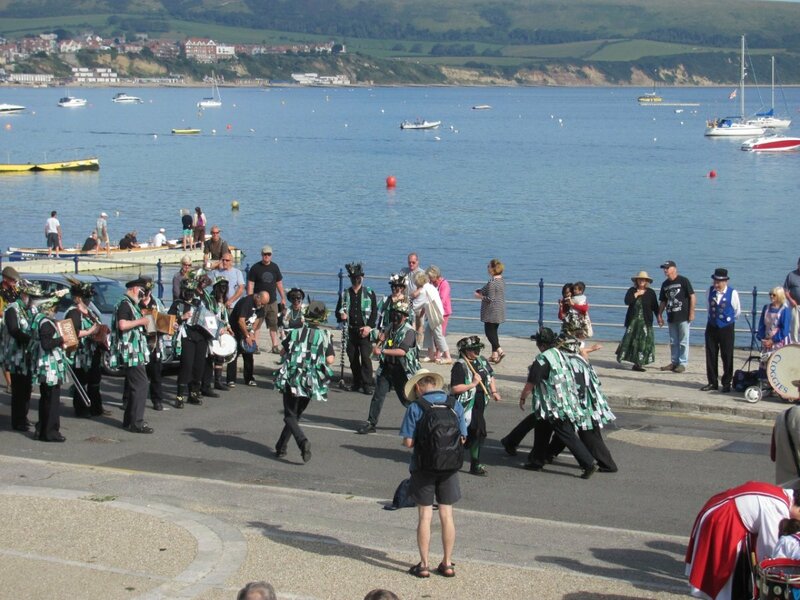 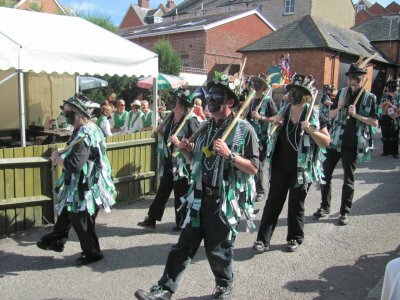 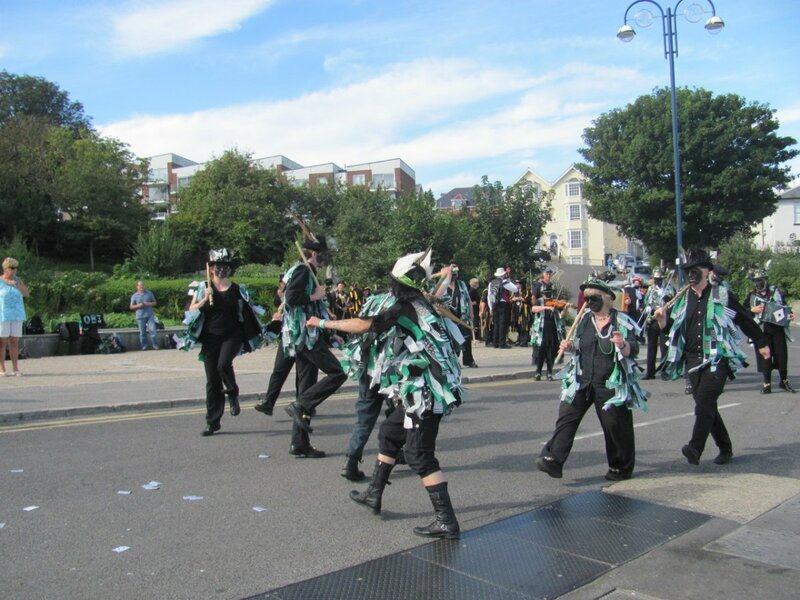 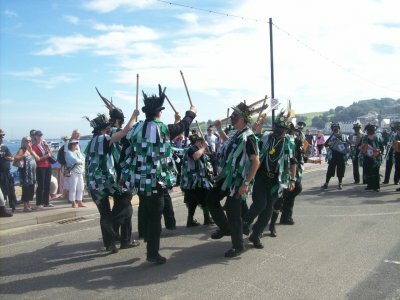 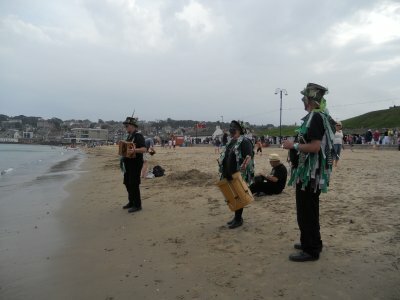 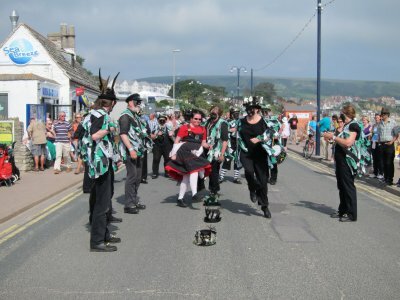 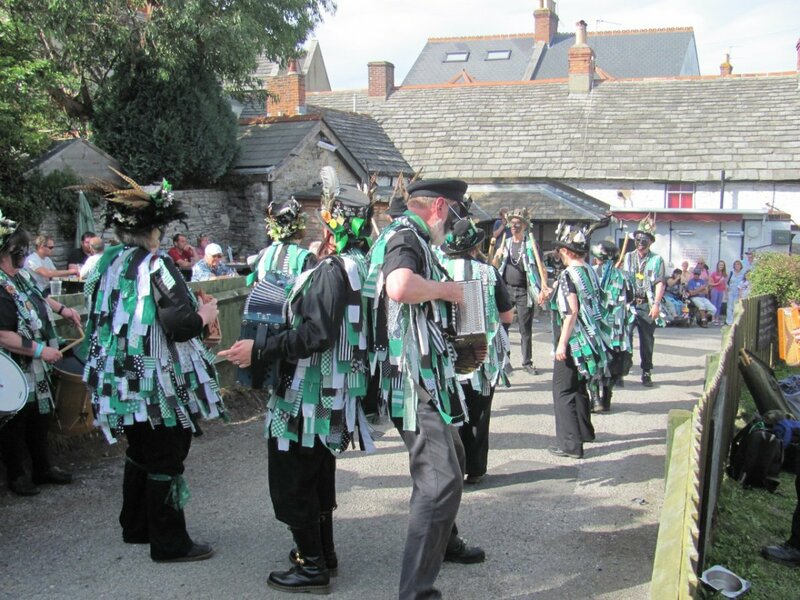 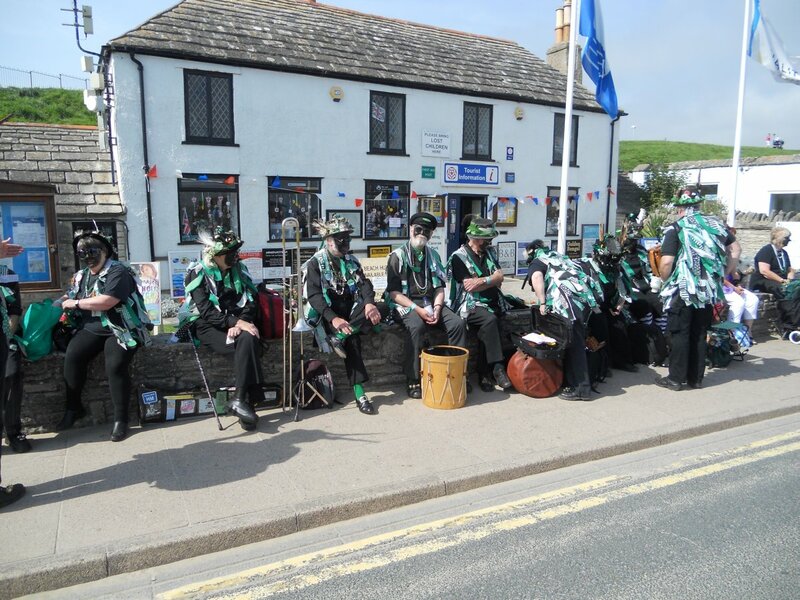 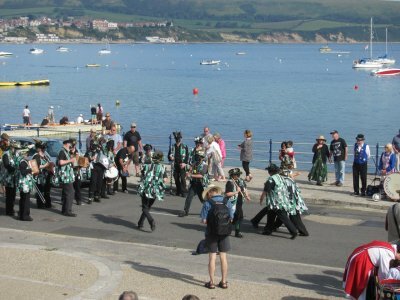 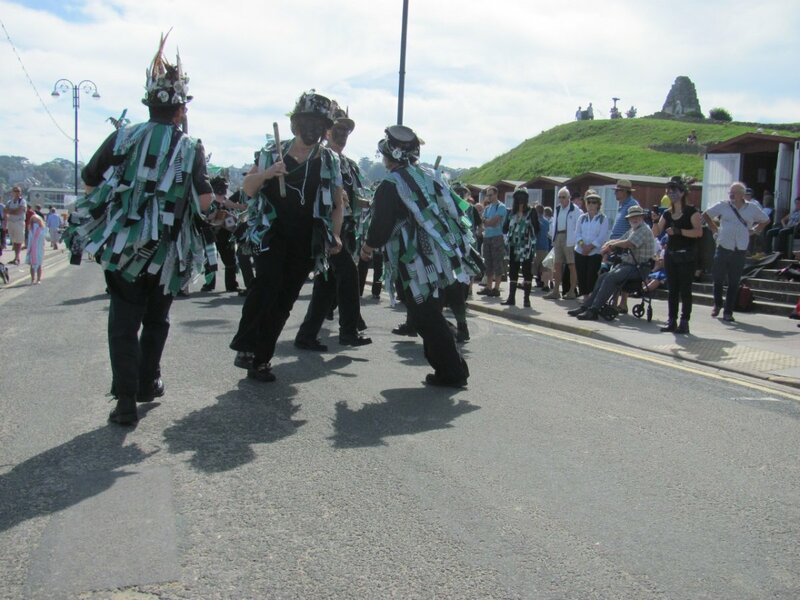 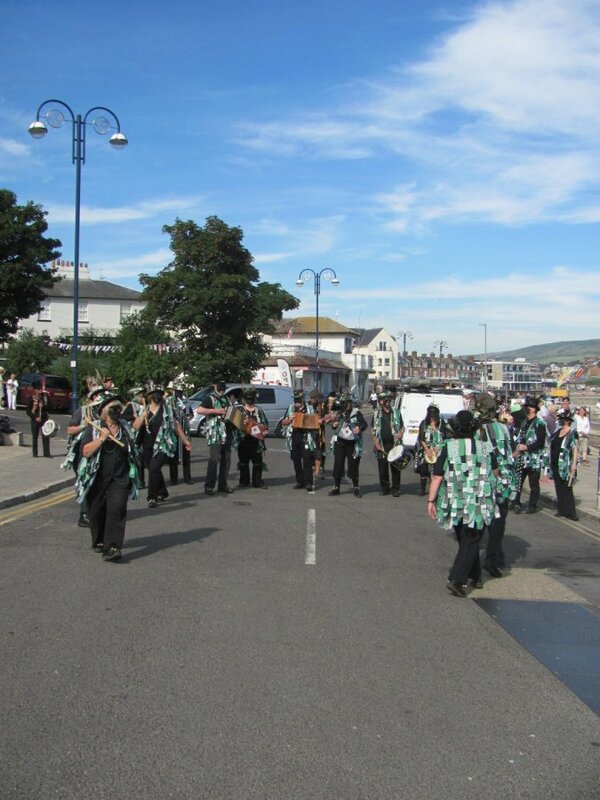 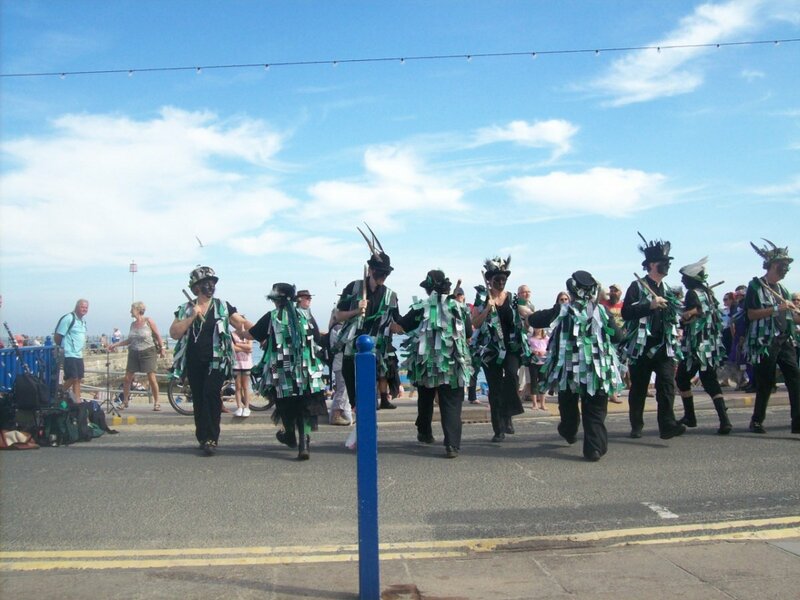 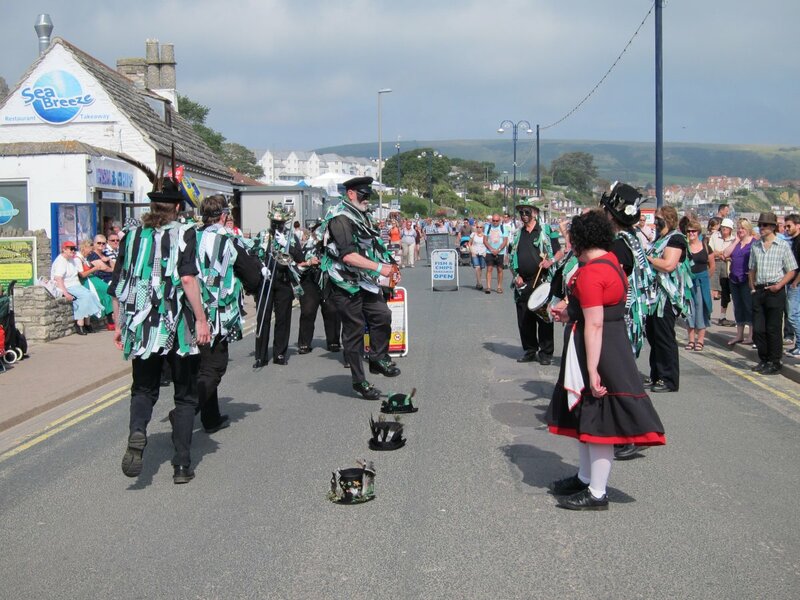 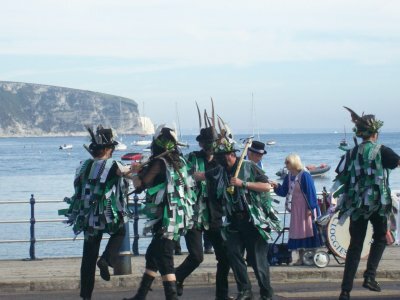 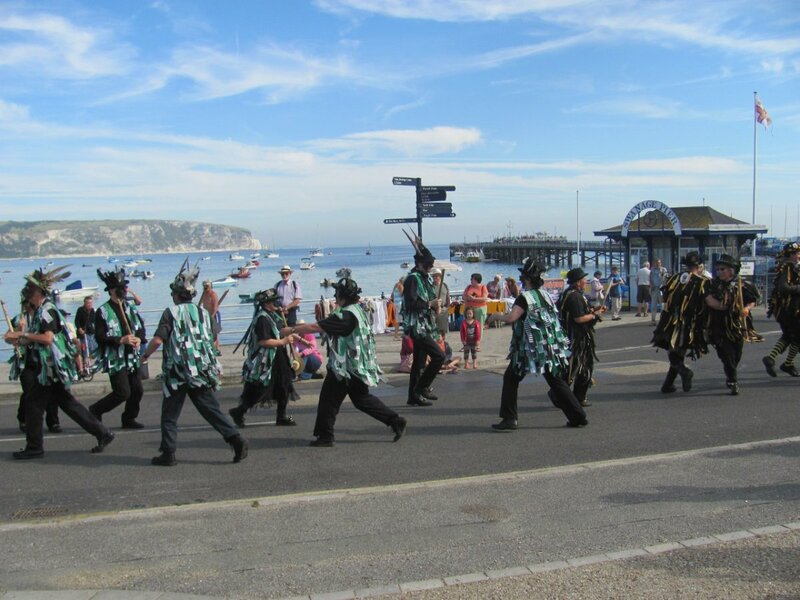 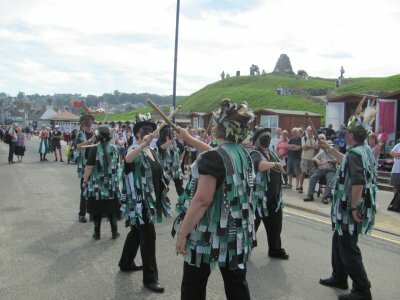 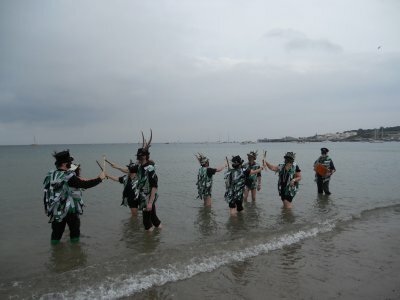 We look forward eagerly to our annual trip to Swanage Folk Festival - and it never disappoints. This year (as always) we had excellent weather and did all the customary things: Steam train to Corfe Castle, Fish & Chips by the sea, dancing in the waves etc. Whatever it is, Claudia, Kelly, Ian, Eddie and Mike G are doing it! 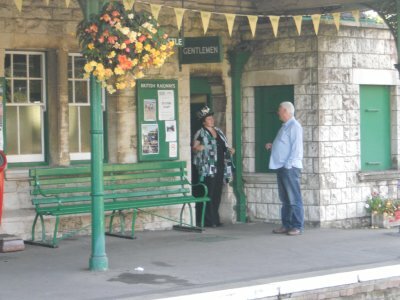 Another mystery - complete with blue pole! Colin leads Tony and Ian into the Sheepskins Hey. "Sometimes I sits and thinks, and sometimes I just sits"
"I say, is this the right platform for the Swanage train?" And the star performers of the weekend? 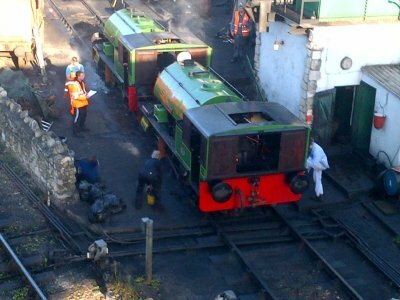 They were built 7ft 6in tall to get under low bridges on the Port of Par railway, and were visiting the Swanage Railway for the weekend.